Visual learner? No problem! Check out our video review below! With the introduction of the new Lightning cable, Apple threw the entire iOS accessory world into turmoil. The venerable 30-pin adapter had been in use since 2003 and the change resulted in hordes of accessories like docks and chargers being rendered useless for those updating to the new iPhone 5 and iPad 4th generation. In response to the change, Incipio designed the Dual Auto Charger for maximum flexibility for mobile device users on the go. The device is packaged in a simple clear plastic box with a plastic tray to hold its contents securely in place. The Incipio Dual Auto Charger carries Apple’s Made for iPod, iPhone, and iPad certification. 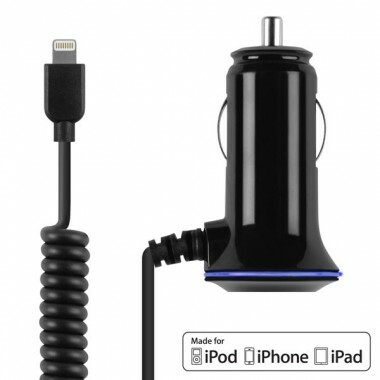 The car charger itself has a USB port and a 7.5 ft coiled Lightning cable. When coiled, the actual length of the Dual Auto Charger is a little under a foot and a half. Combined, the charger is capable of outputting 3.4 amps. 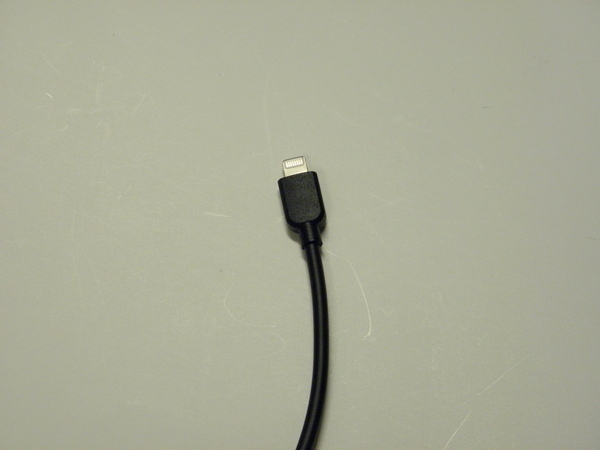 The USB port can output 1 amp while the Lightning cable can output 2.4 amps. 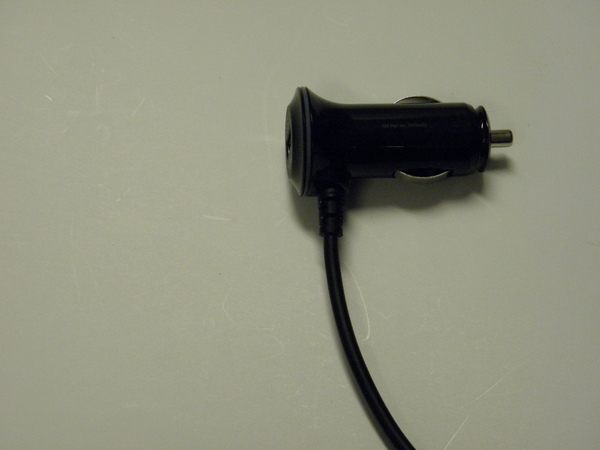 The Dual Auto Charger terminates with the traditional cigarette lighter plug. The entire unit is black with a thin translucent ring around the edge. When powered, the translucent ring glows a bright blue. The charger’s build quality is very good. 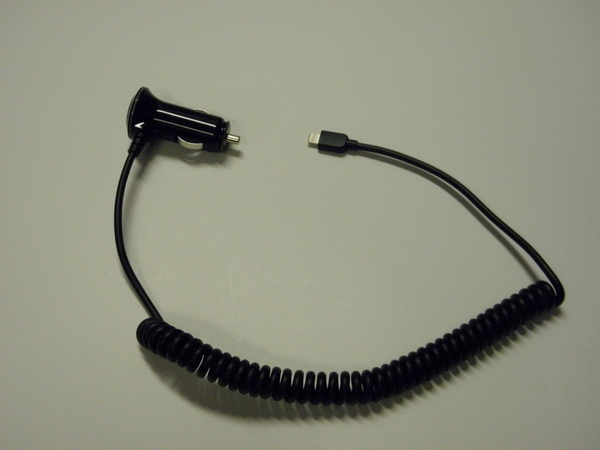 The cable is wrapped in thick rubber and the coil springs back into shape easily. There is a robust strain relief leading from the cigarette lighter plug, but the Lightning cable’s strain relief is short and very stiff. 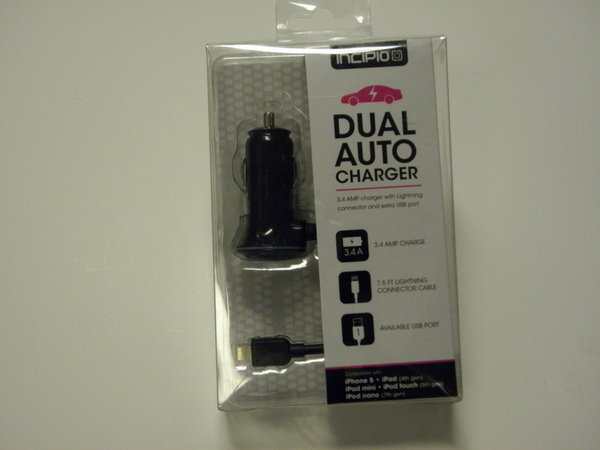 The Incipio Dual Auto Charger is extremely compact. I found it barely protruded from the socket. The coiled cable allows the cabling to be neatly tucked away when not in use. However, I found the coil was very tight. In vehicles where the cigarette lighter socket is located extremely low, I found that there was enough tension from the coil to yank a phone resting on the dashboard or sunglasses slot onto the floor of the car. Both the USB socket and Lightning plug powered devices as advertised. The 2.4 Amps from the Lightning plug will quickly charge even the most power hungry iPad batteries in a short period of time. I really liked the fact the charger supports both USB and Lightning. It future proofs the purchase for those still using the old 30 pin connector and provides flexibility for owners who may own one iOS device and one Android device. Whether you update to the new Lightning based Apple devices or migrate to a Blackberry or Android device, the Dual Auto Charger will still be a useful purchase. At $34.99, the asking price is definitely a bit on the expensive side. However, there are several higher priced devices with the same or worse feature set as the Incipio Dual Auto Charger. The fact it has both a USB port and a Lightning connector cable does give the charger greater flexibility compared to traditional car charger. If you are looking for a well-designed and future proofed car charger, the Incipio Dual Auto Charger is an excellent choice. There are some design choices which I feel could be improved upon, but these faults are rather minor. Be prepared to pay a premium for the product as the extra features do come at a cost.